Pei Cobb Freed & Partners has been recognized for nearly six decades as one of the world’s preeminent architecture and planning practices, with over 250 projects completed in more than 100 cities across North America and around the world. The firm’s assignments have produced an exceptionally diverse portfolio of work—in scale, program, typology, and expression—completed for a wide range of clients, including major corporations, private developers, and public authorities, as well as educational, cultural, and religious institutions. Working from a single studio in New York, the firm’s eight partners and approximately 100 colleagues conduct a global practice with a local focus, taking inspiration above all else from the particularities of place and program. PCF&P’s unique combination of large firm capacity—to tackle the most difficult and complex projects, and small firm character—guided by a hands-on, collaborative, studio-based approach, generates a highly responsive design process which, in turn, produces built environments that are visually elegant, technically sophisticated, and individually tailored to their circumstances. The firm has been recognized regularly with awards for the totality of its practice. In addition, individual projects designed by the firm have received more than 200 major design awards, including 24 AIA National Honor Awards and two AIA Twenty-Five Year awards—more than any other American firm with a single studio. Weathersby, William. “ University of Cincinnati, Ohio [College Conservatory of Music].” Architectural Record v. 189 n. 7( 2001): 128-131. “New Buildings at the University of Cincinnati”, Architecture v. 85 n.9 (1996): 55. 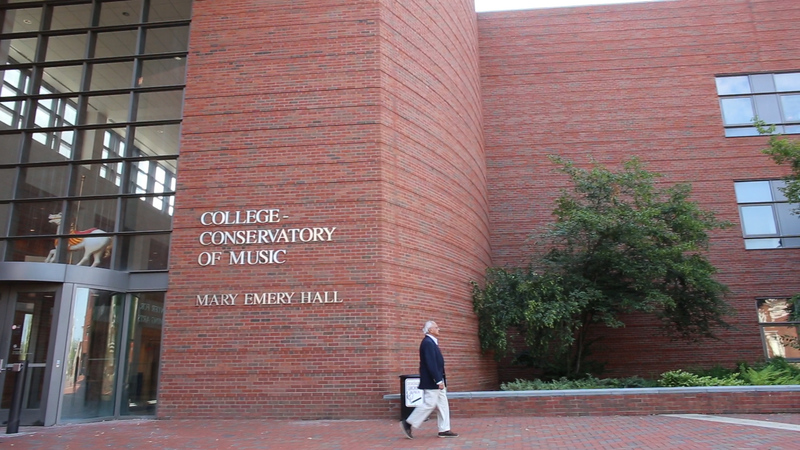 "An interview with the architect, Henry N. Cobb on the renovation and expansion of UC's College-Conservatory of Music"